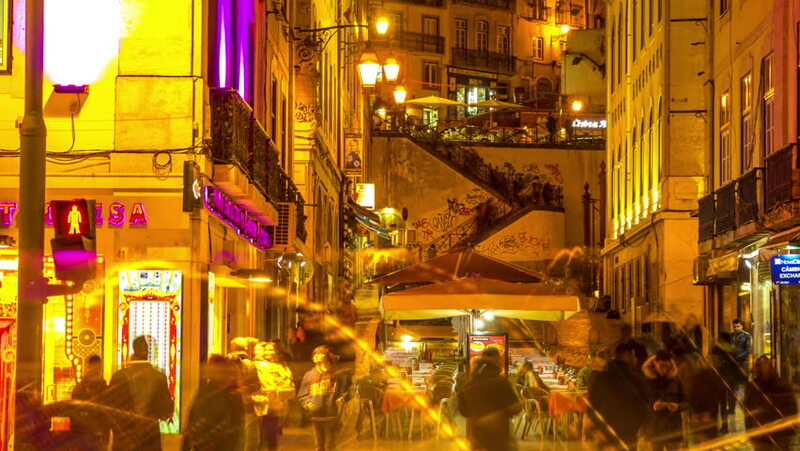 LISBON, PORTUGAL - CIRCA JANUARY 2018: Time-lapse view of illuminated streets in the historic centre of the city as people and traffic pass by at night circa January 2018 in Lisbon, Portugal. hd00:15LISBON, PORTUGAL - CIRCA JANUARY 2018: Time-lapse view of illuminated streets in the historic centre of the city as people and traffic pass by at night circa January 2018 in Lisbon, Portugal. hd00:11ISTANBUL - APRIL 01: Timelapse video of the Galata tower in Beyoglu, close up and at night April 01, 2014 in Istanbul, Turkey.